You probably don’t want to hear this but Christmas is around the corner and with that it’s time to start thinking about gifts for your friends and family. We love spending time in the great outdoors and the mountains so we figured we’d put together a list of the best gifts for hikers. If your loved one is like us we’ve got you covered with some great gift ideas! The 125km Andean mountain range rises to the southeast of Lake Titicaca and some of its glaciated peaks can be seen from Bolivia’s exciting capital La Paz. If you’re looking for some high altitude fun without the crowds seen in other parts of South America, the Cordillera Real are for you. Machu Picchu is one of those travel destinations that seems to be on everyone’s bucketlist. Its soaring peaks and ancient streets steeped in rich history draw thousands of visitors each day, making it one of the most visited sites in the world. While there are many ways to reach Machu Picchu, trekking is by far the best route. Walking up to this incredible place allows one to savour the mystical site’s rugged natural beauty and intriguing surrounding and makes finally reaching the ruins an even greater reward. There are many trekking options to get to to Machu Picchu, each with their own set of pros and cons. When we were in Peru we chose to do the Salkantay Trek to Machu Picchu and will share more about this incredible 5 day, 4 night trek! Nestled in the impressive Cordillera Blanca range of the Andes, Huaraz is increasingly becoming a world-class destination for high altitude adventures as Huaraz trekking is considered some of the best in the world. Huaraz is heralded by some as the the trekking capital of Peru and it offers a more budget-friendly and quieter alternative to crowded Cusco. By far the biggest draw of Huaraz is the trekking in the endlessly picturesque Cordillera Negra and Blanca ranges. Indeed, the Siula Grande from the Cordillera Blanca range is featured in the film about defying death in the mountains, “Touching the Void”, and Alpamayo is thought by some to be the “most beautiful mountain in the world.” The vast and scenic expanses, opportunities for alpine activities to suit every level and interest, and solitude that’s impossible to find in nearby Cusco, make it the perfect place to find some mountain Zen in Peru. 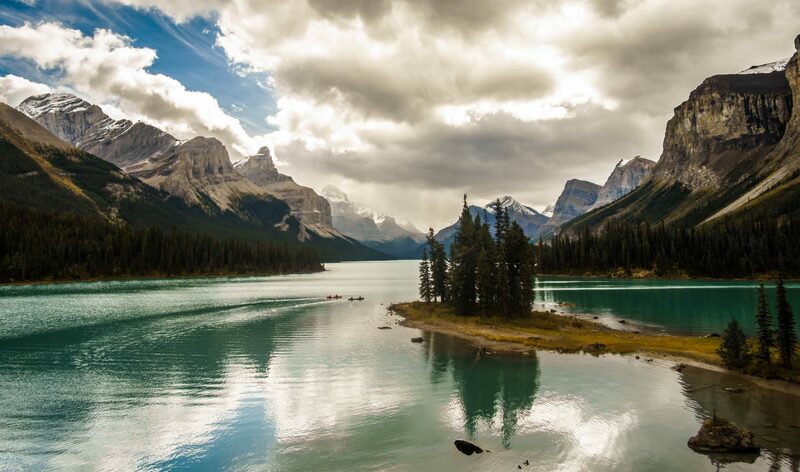 Another summer hiking season has come and gone in Alberta but fall offers up one last chance to experience the Canadian Rockies in their full golden splendour. The locals call this time “Larch Madness.” We always make a point to end our hiking season on this exceptionally high note and have a few recommendations for the best hikes for a range of abilities to see the golden larch trees in the fall! Over the next couple of weeks the larch trees that line the mountainsides in Kananaskis and Banff turn a beautiful golden colour. They stand out amidst the evergreens and shine against the bright blue sky and granite peaks lightly dusted with snow. This special time of year only lasts a couple of weeks and is certainly a rewarding way to end your hiking season.